Major Jackson’s latest book of poetry, Roll Deep (Norton, 2015), has landed well with America’s major critical outlets, from the New York Times and the Washington Post to the Rumpus and beyond. Reviewers point to the mastery with which Jackson undertakes a veritable odyssey, venturing out into foreign locales as a way of understanding and returning home. Through the epigraphs interspersed between the sections of the book, rolling deep takes on two connotations: one laden with images of waves, water, and movement, the other with a city, a family, a people. We hear Byron’s Childe Harold calling out, “Roll on, thou deep and dark blue ocean—Roll!” and Mobb Deep rapping, “When worst comes to worst, / My peoples come first.” We also see diaspora and kinship meet in Langston Hughes intoning, “My soul has grown deep like the rivers.” This is the saddle in which the two metaphors slope into each other—a reminder that neither the seaborne pilgrimage nor the city can be navigated without a “crew.” Yet for all the insightful criticism of Jackson’s poems and the ways they pay homage to those he makes his crew, from the kids on the block and the cousin on bottom bunk to poets like Gwendolyn Brooks who paved the way, not enough has been said about the way Jackson laces together the rhythms and language of the Philadelphia street (or more often, the basketball court) with that of old-world boulevards and coves—not holding them in tension, but rather intentionally drawing them together to shatter presuppositions about style. working with epithets, allusions, and blatant similes almost impossible to picture in Hoops. 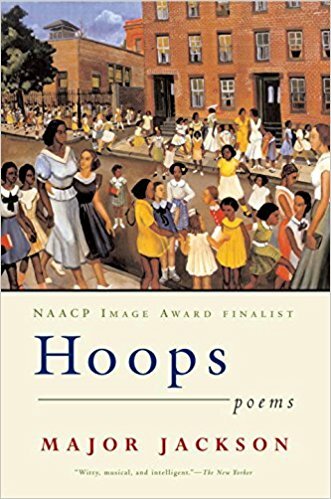 That Jackson draws on the rules of hip-hop, using the full range of assonance and consonance rather than only whole rhymes to direct the reader’s attention, is no surprise when one sees the high significance he seems to ascribe to the genre in some of the other poems in Hoops and Roll Deep. your eyes into a million sparking charms. What the collusion between Hoops and Roll Deep calls for is a kind of layered looking, the ability to see differences stacking rather than crowding each other out. By layering not only language, settings, and allusions but also his pace and prosody, he introduces a poetic heteroglossia that ultimately “amends” and re-“situates” Bakhtin. he goes on to flaunt his style- (and thus race- and class-) crossing verse, invoking the classical Orpheus alongside “Kanye mixing music with fire / Spitting souls through wires.” But truly heteroglossic texts do more than just reference different styles of discourse; they voice them, giving each an undeniable presence that cannot be subsumed into or subjugated by another. 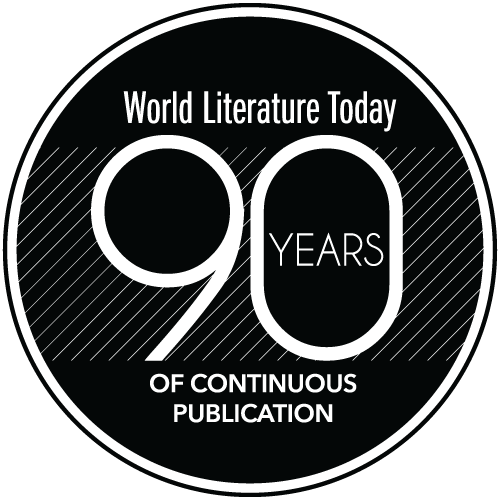 It is because of this that Bakhtin thought heteroglossic verse impossible, for “everywhere there is only one face—the linguistic face of the author, answering for every word as if it were his own.” Furthermore, he accuses rhythm of contributing only to linguistic uniformity, which “destroys in embryo those social worlds of speech.” Rhythm is fundamental; it is the basis, the “embryo,” of any voice. That’s why Jackson’s lyrical work is so important to the social and political force of Hoops and Roll Deep. By layering not only language, settings, and allusions but also his pace and prosody, he introduces a poetic heteroglossia that ultimately “amends” and re-“situates” Bakhtin. Grant Schatzman is a WLT intern finishing degrees in letters and English literature at the University of Oklahoma. After graduation, he plans to do as many interesting things as possible in order to put off graduate studies.